Sewer Equipment is pleased to announce the appointment of John Wichmann (former Vice President of Operations) as the company’s new President, effectively immediately. John graduated in 1983 from the University of Illinois with a Bachelor of Science in Mechanical Engineering. In 1998, he completed his Master of Business Administration degree at Detroit Mercy. He has held positions in multiple disciplines including engineering, sales, operations and general managing. John started with Sewer Equipment in 2002. Throughout his career at Sewer, John has held the title of Plant Manager and Vice President of Operations, where he has applied 35 years of industry experience in order to grow Sewer Equipment into the major player it is today. 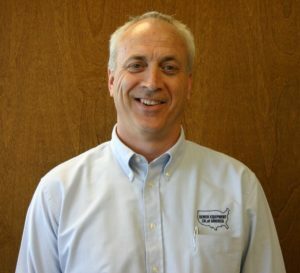 In his tenure, John has been responsible for enhancing and expanding Sewer Equipment’s entire product offering, entering new markets and distribution channels, and managing a plant relocation to its state-of-the-art facility in Dixon, Illinois. John’s past experience and accomplishments, coupled with his extensive industry knowledge, made him the obvious candidate to take over for Dan O’Brien, the company’s past president. Dan looks forward to staying involved as the company’s owner. Sewer Equipment is the corporate home of Sewer Equipment CO. of America, RAMVAC Vacuum Excavators, Mongoose Jetters and Cappellotto by Sewer Equipment. With over 75 years of experience, Sewer Equipment brands represent the industry’s highest quality sewer cleaning and vacuum excavation equipment, serving contractor and municipal markets all over the world. Sewer Equipment lines include high pressure, high volume truck and trailer-mounted sewer jetters, combination sewer cleaners, water recycling sewer cleaners, truck and trailer-mounted hydro excavators, air excavators, catch basin cleaners, rodders, bucket machines and easement machines. Sewer Equipment continues to drive toward innovation and quality, standing by its company commitment to provide “Best Products. Best Local Support”. For more information on Sewer Equipment, its brands or products, please visit www.sewerequipment.com or call 800-323-1604. You can also read more articles like this here.